This past week I visited my parents in California and it felt like summer towards the end of my trip. 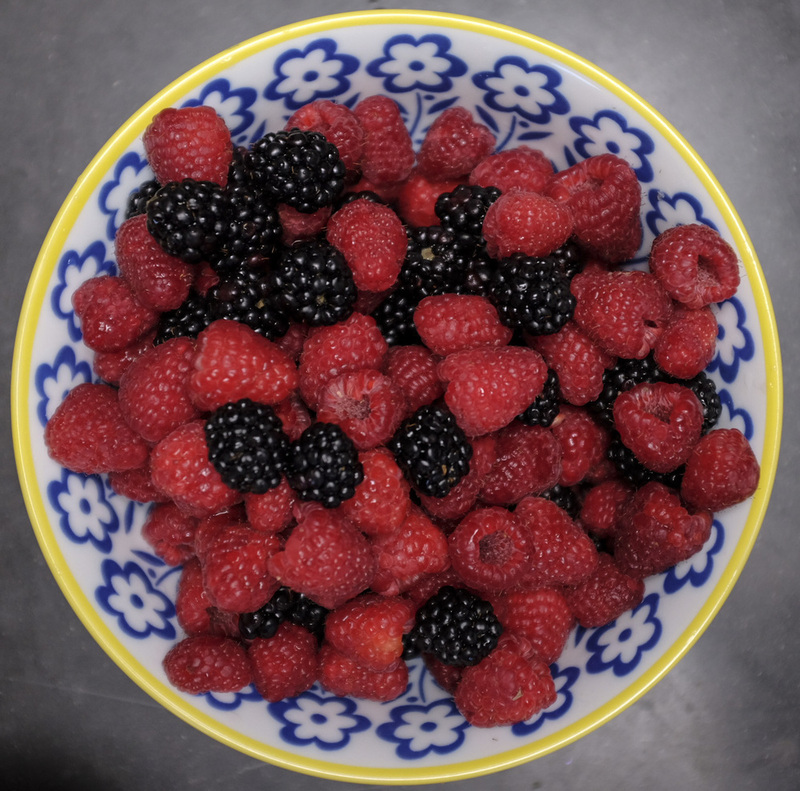 I couldn't help but start craving summer berries! Since berries are hard to find until the heart of summer up here in Montana, I took advantage of the fresh fruits in the grocery stores over in California and got to work on this berry pie! Lately I've been very inspired by Donna Hay. She is a food stylist, author and chef from Australia. The images in her magazines are incredible not to mention how beautifully styled they are as well! Instead of doing a single crust pie, or my classic crumble, I decided to play around with the top layer of the pie and create an uneven lattice top! I used my classic pie crust recipe last seen here with my Apple Galette. Click the link for the crust recipe! Flour your surface and your rolling pin and roll half the sectioned dough into a 1/4" thick circle. This is the piece for the bottom of the pie! Place the piece of dough into the pie pan and press it down with your fingers. Trim off any excess that hangs off the edges. Add the rest of the pie crust dough onto the floured surface and roll the same thickness as and size as your last piece of crust. 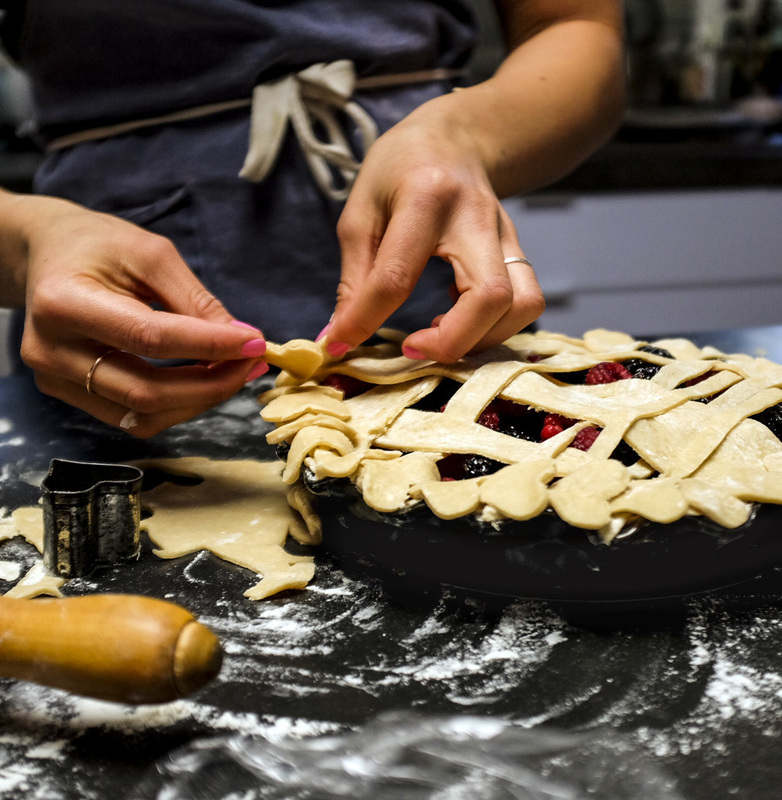 Using a pastry cutter (or a sharp knife) cut the dough into slices that are uneven in size. Place the dough slices onto the pie and create a fun pattern of your choice! I created the lattice by placing a piece over the crust then alternating over and under for each piece! Like a braid! Bake for 35 minutes until golden brown and bubbling! And as promised, I linked below similar products to my baking supplies for you to start your baking adventures! Just images below my baking pictures to purchase!